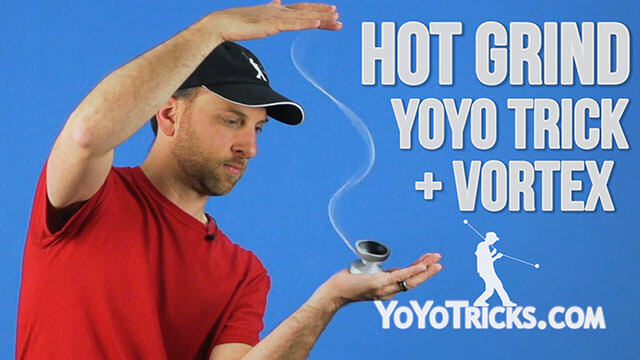 Learn the Hot Grind/Bind and how to add a Vortex as well. 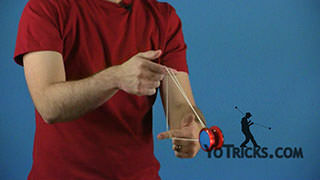 The Hot Grind, as you can see, it is a grind in the palm of your hand where the yoyo is a little bit horizontal. 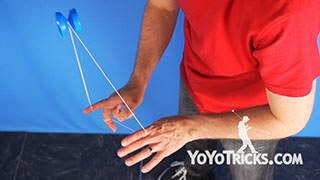 As you are doing this trick, when you first catch the yoyo, it is going to be bouncing all over the place so make sure that when you practice this, your hands are dry and clean. 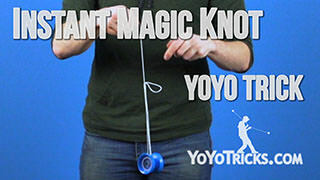 That will help a lot. 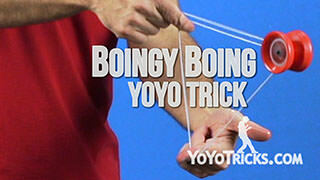 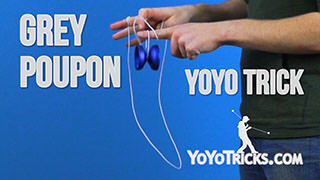 But, it is just going to take a lot of practice to get used to getting the yoyo to stay put. 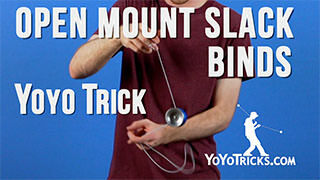 So I am going to give you as many tips as you can. 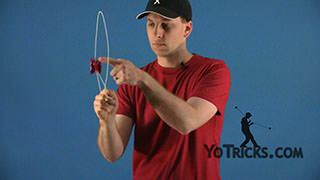 So the first thing that you want to focus on with this trick is your throw. 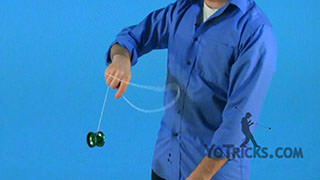 As you saw when I threw the yoyo, I just throw the yoyo and pull it right up into the trick. 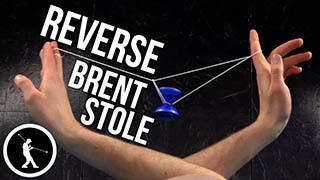 I have taught a lot of different people to do this trick, and a lot of them, they prefer that instead of just throwing it and getting it right into their hand, they prefer to do a couple of banana turnovers. 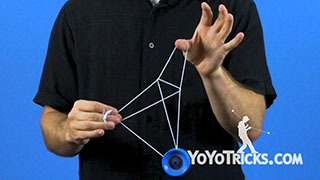 I think that just allows them to control the yoyo a little bit more. 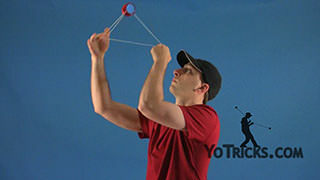 So again, you can throw it as hard as you want when you do this, and then you do a couple turnovers and then you pick the yoyo up. 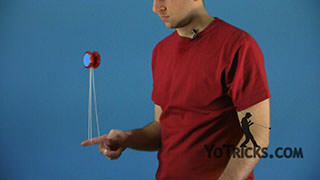 Like I said, I think they prefer that because they can really throw the yoyo as hard as they want. 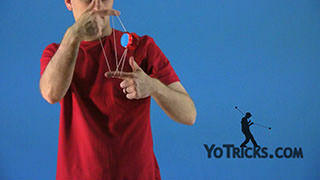 Definitely having a hard throw is super important for this trick. 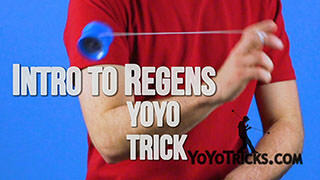 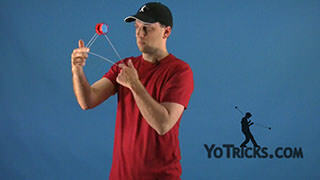 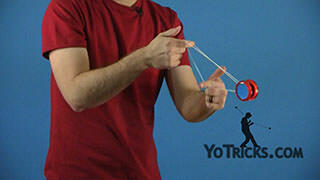 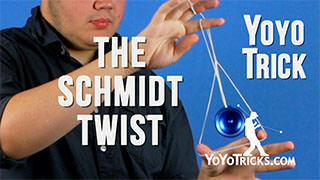 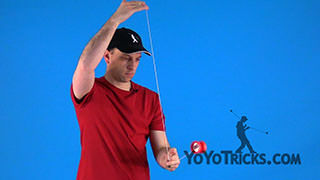 Now, the key thing with the throw is the angle at which you pick the yoyo up and get it into your hand. 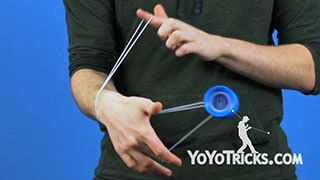 So one reason I like to do just a straight throw without the banana turnover is I can control the angle really well. 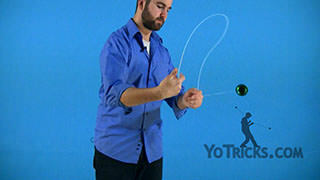 What you want is when you catch the yoyo, you want it to sit right in your hand, right along this line that is already in your palm because that will give you the most control. 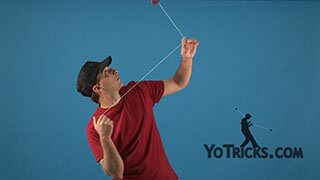 So again, when I throw it, instead of throwing the yoyo across my body like I typically would, or way up here for a normal horizontal throw, I actually throw it a little bit in front of me. 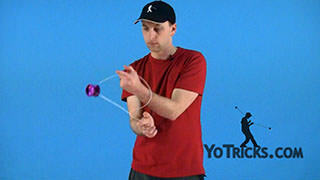 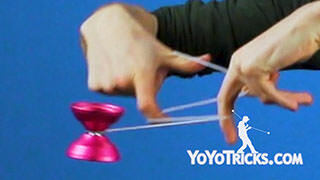 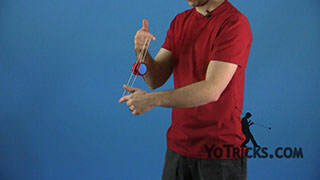 You will see that the yoyo is not perfectly horizontal. 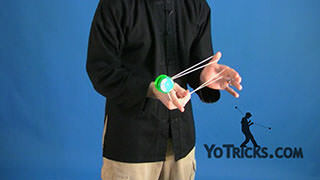 I throw it at a little bit of an angle. 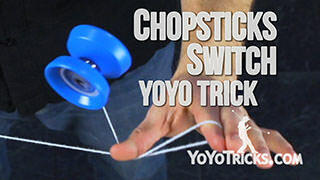 That allows just the edge of the yoyo to touch my hand as I am doing the grind. 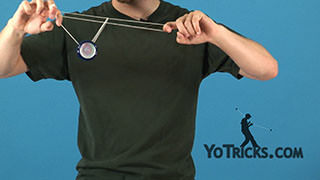 That just seems to allow it to grind just a little bit longer. 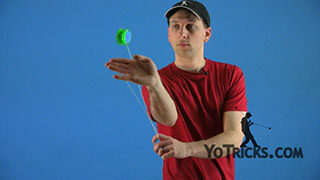 So, if you are going to do the banana turnovers, you want to do the same thing where you use those pinwheels to control the angle of the yoyo so it is just a little bit angled for when you go up for the catch. 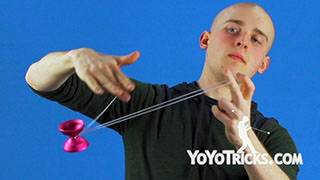 Pretty much what the angle is that you are doing those pinwheels, that is the angle that the yoyo is going to end up. 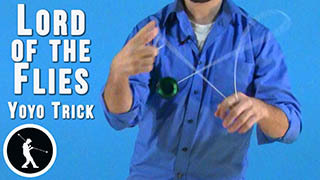 So practice either way, whatever works for you is totally fine. 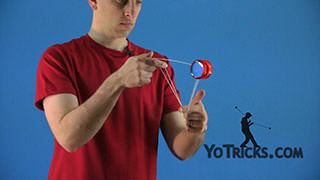 So, like I said, when you catch it in your hand, you want to catch the yoyo at an angle right along this line in your hand right here. 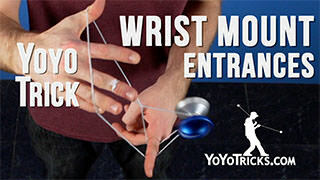 What you also want to do is you want to cup the inside of your hand as much as you can. 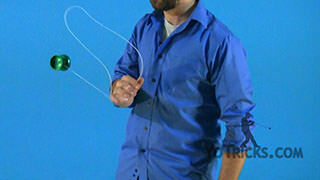 You can imagine if you were to scoop up some water when your hand is like this the water would stay in your palm. 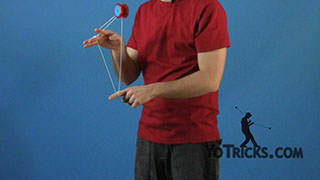 What I do is I just kind of bring the inner part of my pinky and my thumb together, and that creates that little cup for the yoyo. 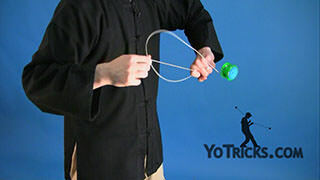 The reason why you want this is when you catch the yoyo, if your palm is up like this, having such a deep area in your hand, that will draw the yoyo down into it. 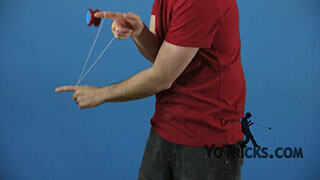 It will also help it to stay put so that it does not want to bounce out because it is spinning so much. 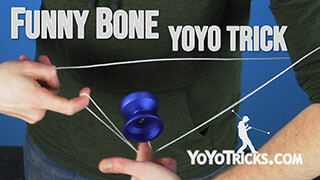 So that is just one thing that, again, you will get used to it. 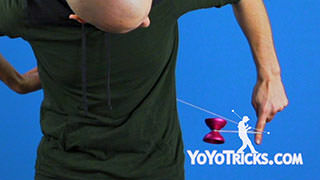 You will also notice that I am not catching the yoyo up here, my hand is out here, that just helps to work with the angle a little bit better. 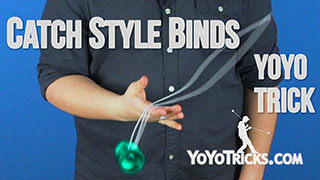 So, once you have the catch, then you want to set up your bind. 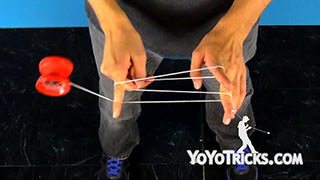 With the bind, the first thing that you want to do is throw the string past the yoyo and even past your thumb, right here. 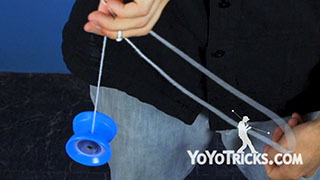 What that does is it sets the string up so that you can easily feed it into the gap of the yoyo. 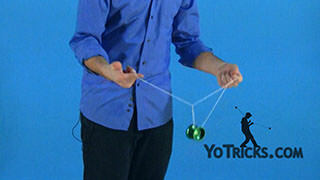 That is going to be one of those things where, at first it is going to be difficult to get the yoyo to stay put. 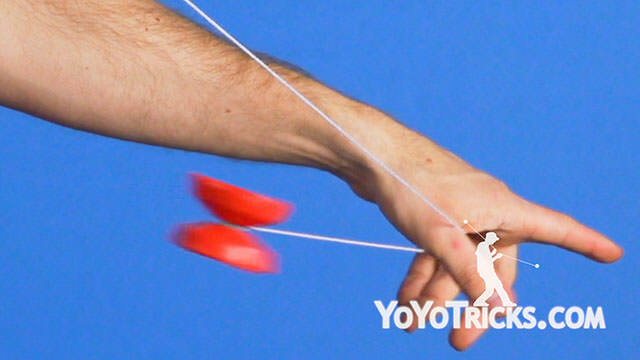 Then it is going to be difficult to have enough time to do the trick because the yoyo is not going to spin as long because you need to throw harder and get control faster. 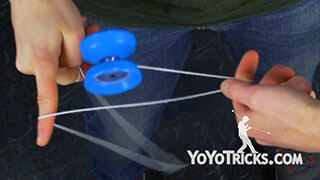 Then the last part that is really tricky is getting the string to actually go into the gap. 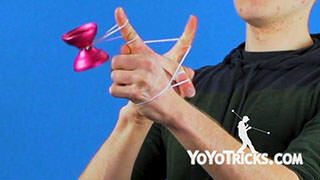 That is the biggest thing that I have noticed. 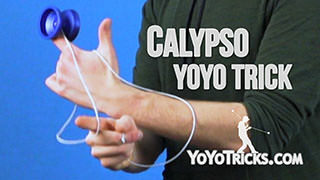 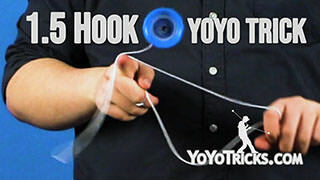 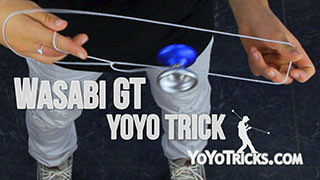 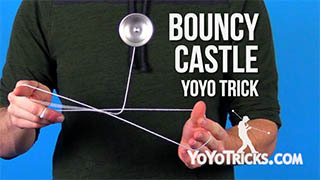 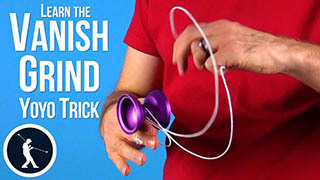 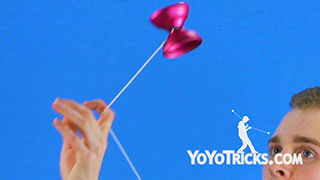 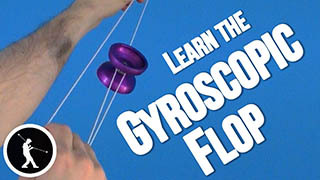 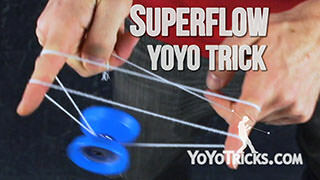 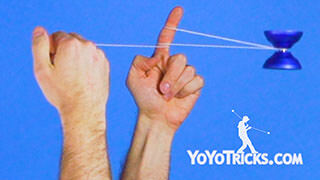 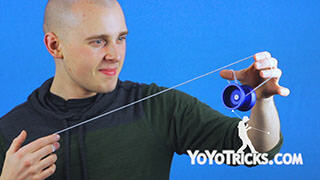 If you can toss the string right past the yoyo, then you see that it feeds in and then you can complete the trick by wrapping around once, and then just pulling off to the side. 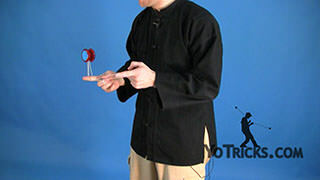 So, as you can see this is a pretty impressive trick once you really get it down. 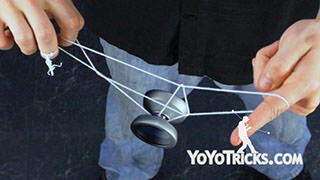 It can spin a long time in your hand and that will give you time, especially if you are using a metal yoyo. 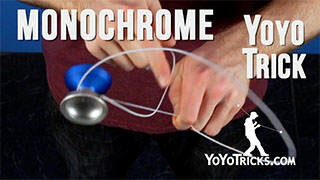 Some plastic yoyos can manage this but it is quite a bit easier with an anodized yoyo. 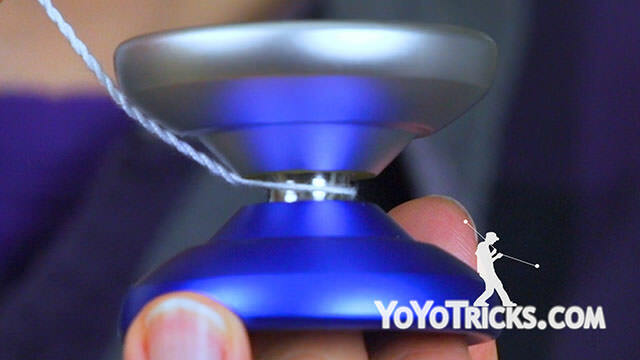 The other thing is just like any other grind, it is a lot easier to catch the yoyo and get it to stay put if there is less motion when you are actually catching it. 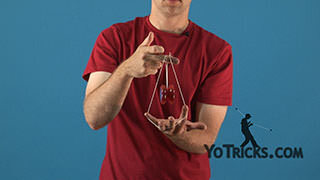 So, what I do is I try to get my hand right under it. 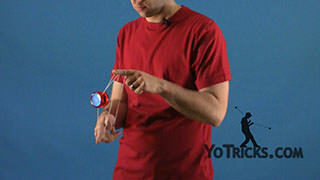 Right as the yoyo is peaking and that way there is not a lot of downward motion. 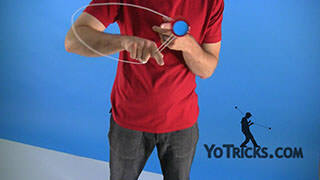 I try to limit the forward and the back and the side to side motion. 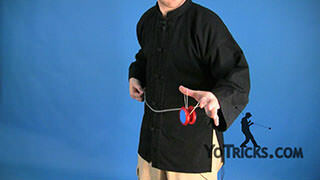 That also helps as well. 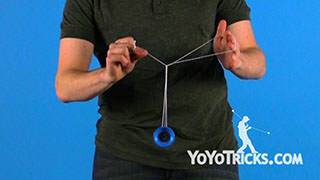 Now, one more thing that I can show you with the particular grind is once you really have it down and it can sit in your hand for a little bit, you can even use this to do a vortex. 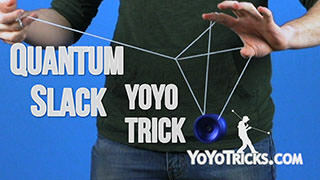 It is pretty simple. 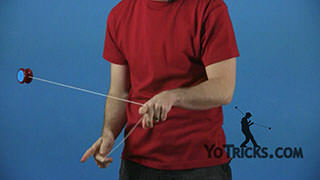 All you are going to do is, right as you set up the bind, instead of pulling off to the side, you are just going to pull straight up. 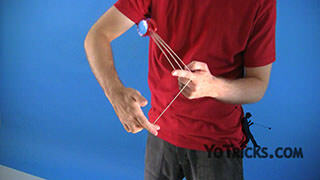 So that looks like this. 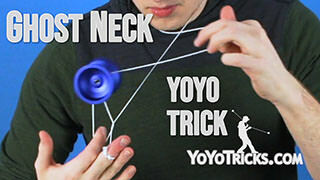 Just set it up, you want to wait for the spin to die a little bit, because if it is going too fast, it will not vortex quite as well. So, there is a matter of timing of how slow the yoyo is going to go, so that you can get the vortex done exactly right so that it looks good but so that it also winds up. 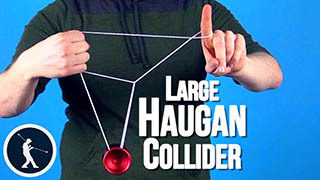 Again, you will have to play with that. 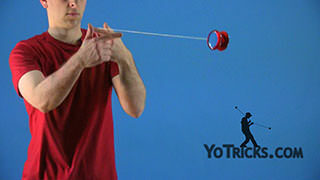 But like I said, it is pretty straightforward motion, you are just pulling up, getting your hand above the yoyo while it does the vortex. 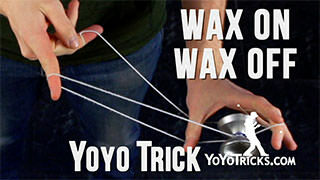 So, there is a lot to play with with this trick. 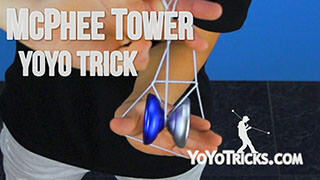 It is really fun as once you get it down, it is really satisfying. 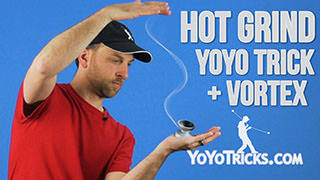 So that is the Hot Grind.